Hey dolls! SoFlaJo recently released a three piece Happy Howl-a Ween collection and I have one of the shades for you today. 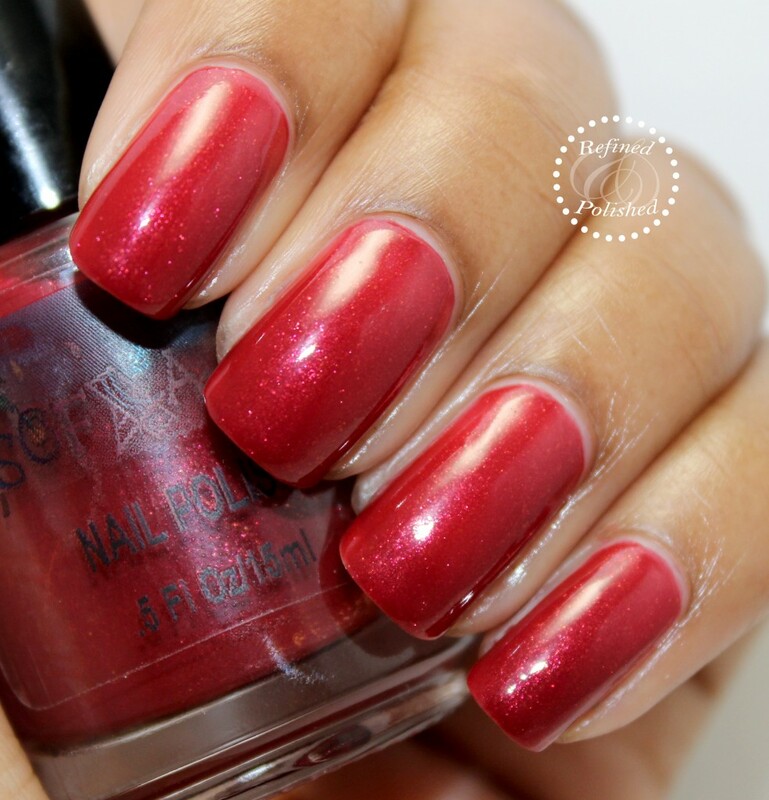 SoFlaJo Hell Fire is a bright red base filled with shimmer. The formula was on the thin side, but not runny and was easy to manage. Two coats were used for opacity. While I’m not the biggest red lover, I really like the glow from within look that Hell Fire has. This would also be a great polish for the Christmas holidays. SoFlaJo Hell Fire and the rest of the Happy Howl-a Ween collection are currently available here for $10 each. Be sure to keep up with SoFlaJo on Facebook, Twitter, and Instagram.